Eugh! Personally, I hate spiders, but I suppose some of you out there might feel differently. 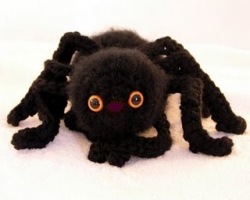 So here's a spider amigurumi for your Halloween decorating. He is adorable! And fuzzy! You have really nice patterns on your blog! Thanks so much for sharing! 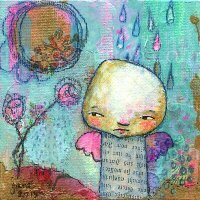 If you like, come visit my link party every Saturday. I would love it if you add something!